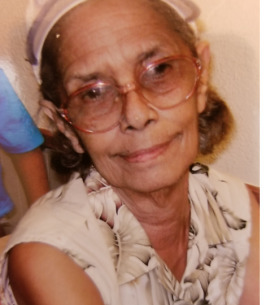 Vivian Dolores Melianani Kapololu, 84 , passed away on December 14, 2018 in Waianae, Hawaii. She is survived by Sons Robin R. , Ross A., & Russell K. Sr. Kapololu, Daughters Sharon L. Duncan (Kevin), Sandy S. Ramos, Brother Andrew Cummings, Sister Josephine Raines, 23 Grandchildren, 41 Great Grandchildren and 1 Great great grandchild. Celebration of Life services will be held on January 11, 2019 at Ballard Family Moanalua Mortuary. Visitation is at 5 p.m. with services at 6 p.m. Casual attire. To send flowers to the family of Vivian Dolores Melianani Kapololu (Cummings), please visit our Heartfelt Sympathies Store.